The holiday season is here, and it’s time to think about your holiday business strategy. If you want to have a successful holiday shopping season, you will have to put in time, planning, and an effective strategy that allows you to provide the same high-quality customer experiences that shoppers enjoy throughout the year. Especially during November and December, many retailers will see a spike in sales, but after the season is over, and February comes around, many companies will see sales drop dramatically. This is why it is important to turn first-time holiday customers into loyal ones—extending their business with you from the moment they shop for a product over the holidays, throughout the rest of the year. 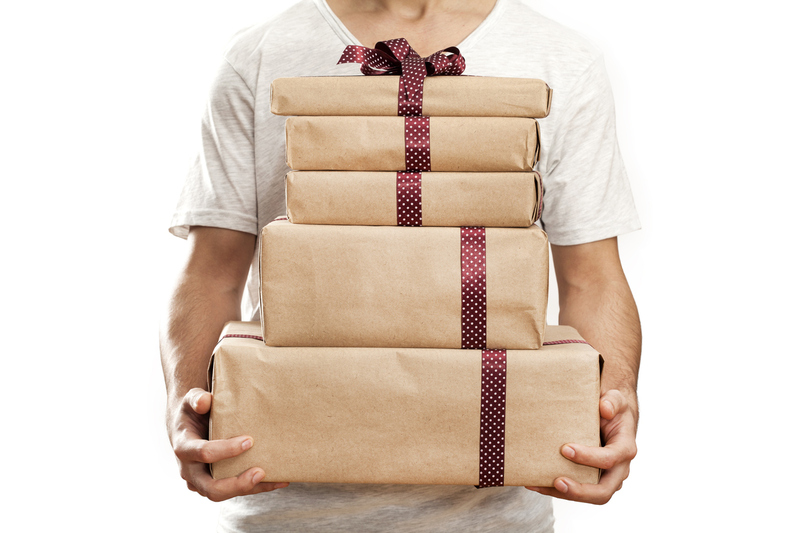 If you can develop a successful fulfillment strategy to handle this increase during the holidays, you won’t have to worry about losing repeat sales and damaging your brand reputation. If you are looking for ways to turn holiday shoppers into loyal customers, here are some tips that can help you. Your ability to deliver on your promises is paramount to providing a good customer experience. To protect your ability to live up to their expectations and deliver orders on time, you need to know which days during the holiday season will be your peak sale days. By knowing these days in advance, you can make sure your operational capabilities can keep up with the growing customer demand. Once you have analyzed your peak day, you should find out how it affects your organization’s marketing strategy and promotions. This will help you keep your warehouse and fulfillment operations running smoothly. This is probably one of the most obvious tips to remember if you want to turn holiday customers into loyal customers. Selling bad quality products will destroy your brand reputation and ruin your relationship with your customers. When a customer shops at your store for a gift, only to find out the gift is defective or does not stand the test of time as expected, the customer will never shop from you again. Make sure that you put care and time into crafting interesting and high-quality products so that your customers find value in what you have to offer. Customer loyalty programs are a great incentive that you can provide your customers to encourage them to come back to your store. For example, you can ask your customers to sign up with their e-mail address to receive special offers and discounts when they shop on your store. Any way that you can reward your customers with an extra bonus, even after the holidays, can help them find value in their business relationship with you. 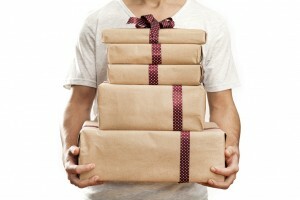 Retailers can implement a variety of logistics strategies to meet the needs of holiday shoppers. Improvements such as shipping transparency and branding packaging can enhance the customer experience during the holiday season. Ask yourself questions such as: Do you change your service level agreements during peak season? Do you offer a branded holiday experience such as gift wrapping, gift messaging, and seasonal packaging? Do you provide visibility to package delivery times? If at any point during the checkout process your customer has a complaint or an issue, you should be prepared to handle it in the best way possible. The way your customer support resolves problems can be a determining factor for whether or not a customer comes back to buy again from you. Exceptional customer service is essential if you want to turn a first-time buyer into a loyal customer. Keep in mind that it only takes one bad experience for a customer to turn back from your online store or shop and never come back. It’s important to do your best to stand out from the crowd in the increasingly competitive e-commerce world. Delivering things on-time and providing high-quality products will help you, but it may not be enough as your competitors are already doing this as a standard procedure. You need to find a way to stand out to your customers in a way that exceeds their expectations, so that they remember their shopping experience with you for months to come. If you go above and beyond for your customers during the holiday season, they will likely come back to shop or your web site in the months ahead. Providing a constant visual reminder of your brand can drive more customer engagement. This is why you should add branded merchandise for free, included with a product that your customer buys. If you choose something they can wear such as a bracelet or a hat, they will always remember your brand and consider going back to your store. For many customers, emotions drive loyalty, especially during the holidays. Make sure that your employees communicate to customers that they appreciate their business. You can also provide coupons and special offers for customers in the new year to encourage them to come back to your store. If you need assistance from a fulfillment service to improve customer loyalty, there are experts who can help you. It’s important to be prepared to handle the increased sales during the holiday season, but even more important to maintain customers throughout the new year. Fulfillment services for holiday shoppers go a long way by helping a business meet customer needs in terms of manufacturing, order fulfillment, shipping, and even e-commerce. Since the holidays are right around the corner, you need to be sure that your e-commerce business is ready to handle the holiday rush. This may be a difficult task for you, and that’s why you should turn to a 3PL company you can trust. At APS Fulfillment, Inc., we prove value to our clients by providing the most dependable, effective e-commerce fulfillment services possible, every day. If you need help managing your e-commerce processes during the peak season, or believe it’s time for an upgrade, we can help. We are an experienced e-commerce order fulfillment company that can provide advice on e-commerce shipping processes and we offer our clients a variety of hands-on services. Our services include product fulfillment, direct mail marketing, fulfillment solutions, and fulfillment markets. We also use the best quality software systems to manage your warehouse, so if you’re looking for the right company, look no further than APS Fulfillment, Inc. You can contact us by e-mail at [email protected] or by phone at (954) 582-7450.